Barricade. The shallow-mount barricade designed by Heald is 41 inches tall when raised. 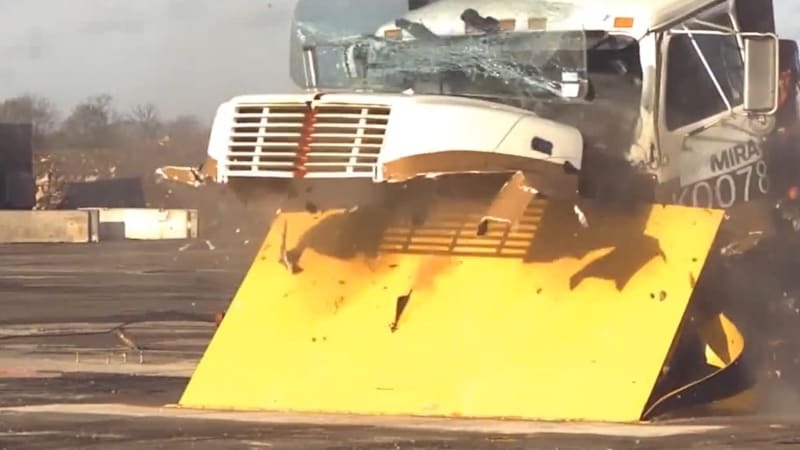 A hydraulic system lifts the road blocker in 6 seconds with the press of a button. Stopping virtually any vehicle that tries to get through. It also has an emergency fast operation system that can deploy in just 1.5 seconds. The barricades width can range from 8 to 18-feet depending on your security needs. The “anti terrorist” vehicle barricade is made from welded steel.